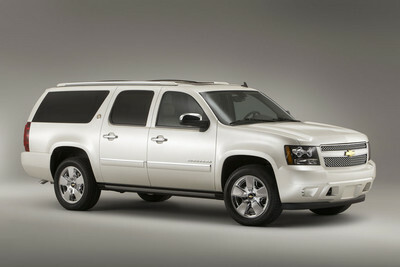 No other car than Chevrolet Suburban truck has been in production for 75 long years! Of course it’s not an occasion GM could resist making some noise about! 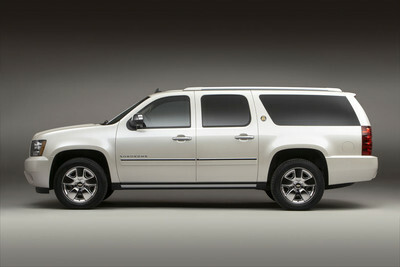 so they made this Chevrolet Suburban 75th Anniversary Diamond Edition, which is limited to 2570 units. The car features a White Diamond Tricoat exterior color and Cashmere interior, along with unique 20-inch chrome-clad wheels and new roof rack rails, and special badging adorns the C-pillar sail panel and steering wheel plus Diamond Edition lettering on the headrests and sill plates. The Suburban Diamond is based on the LTZ trim level so comes standard with leather upholstery, air conditioned seats, XM Satellite Radio with NavTraffic, Bluetooth phone connectivity, a rearview camera system, rear parking assist, remote starting and adjustable pedals. Optional equipment includes a DVD-based rear-seat entertainment system, articulating running boards, a sunroof and Side Blind Zone Alert. Mobile WiFi can also be added at the dealership. This special editoin is powered by a Vortec 5.3L FlexFuel engine mated to a six-speed automatic gearbox. But you may also have the more powerful 2500 models with a 6.0L engine.